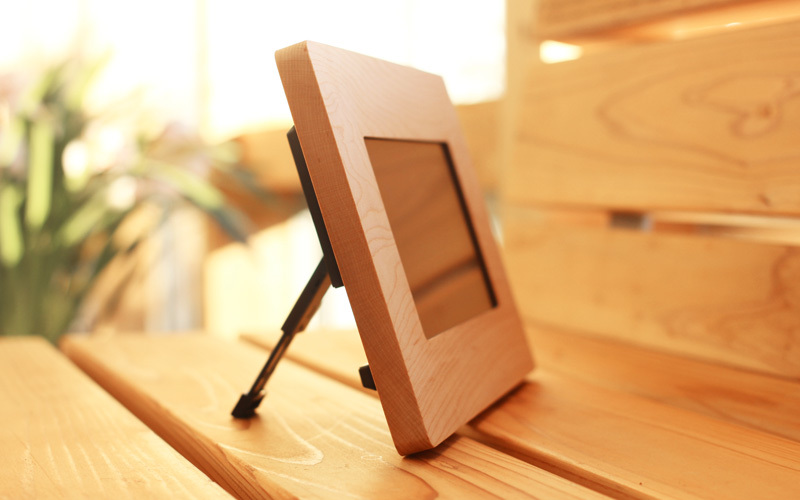 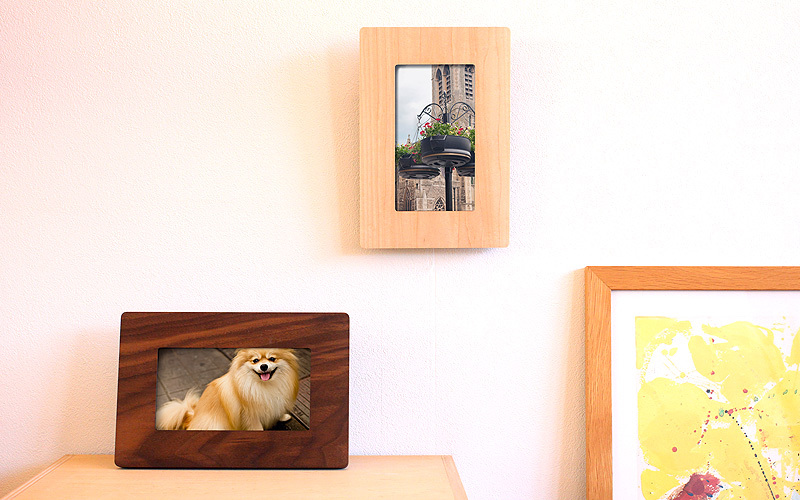 This digital photo frame is carved out of single chunk wood. 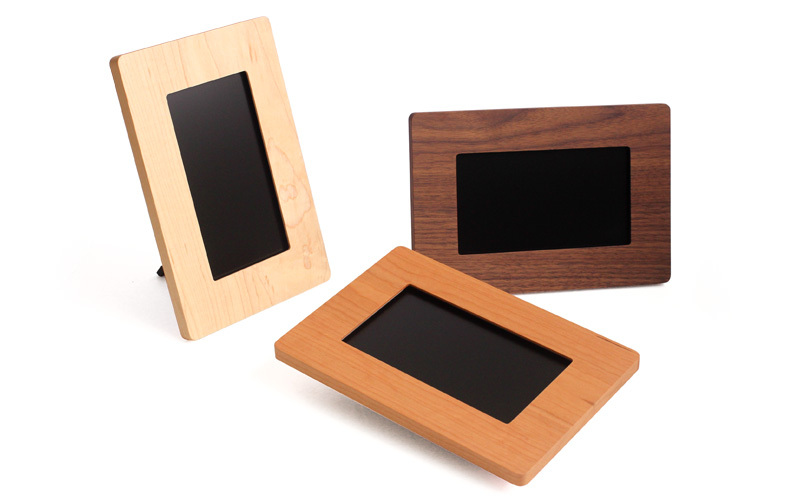 Just like wooden furniture or architecture, its surface will develop beautiful patina and rich texture over time. 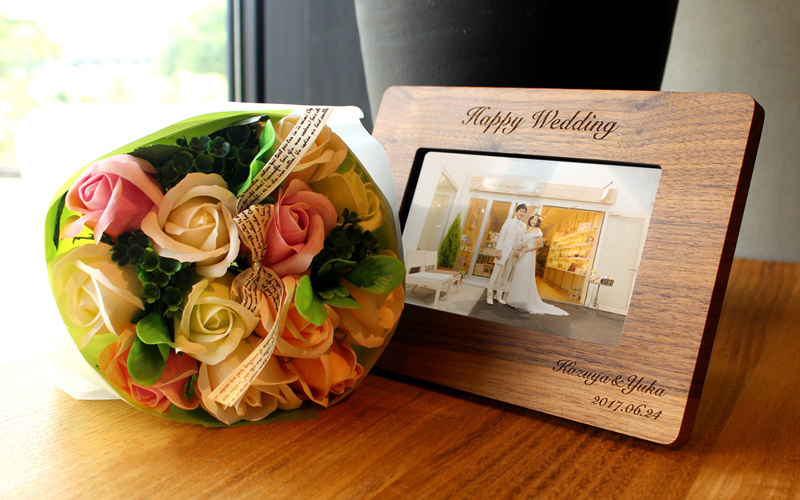 This frame with warm touch of wood can be perfect commemoration of memorable occasions as well as a gift for someone you care.